Observation - An assumed Fly for ID. please. Thank you... - UK and Ireland. Description: Very hairy legs &c. We ae assuming its a Fly. There's an excellent photo, and an apparently correct identification (Mr Brooks is seldom wrong). 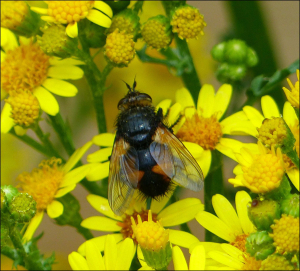 But iSpot has put Nowickia into the Sciaridae: I'd thought it was in the Tachinidae. Is this a recent change? Looks like a taxonomic error. Sciaridae and Tachinidae belong to different suborders. yes, this is an iSpot issue and is similar to many. The iSpot dictionaries have not been updated for a few years, probably 5.